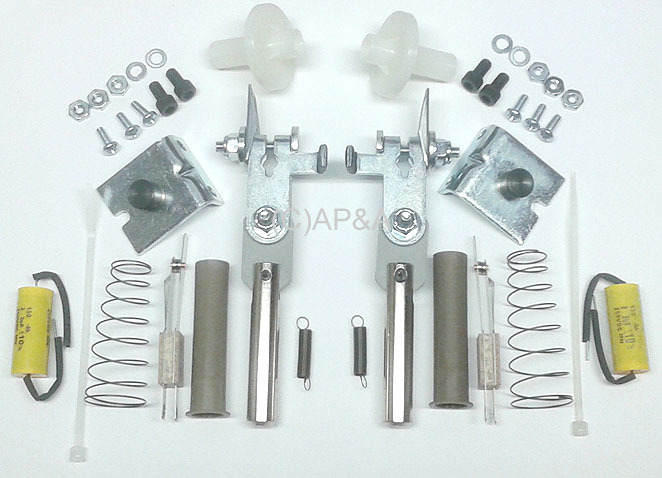 Flipper rebuild kit for Bally & Williams pinball games made between late 1988 and late 1991. Includes replacement parts for 2 flippers (1 left and 1 right). Includes installation instructions. Replaces original Bally/Williams factory kit # A-13524-1 (plus addition of flipper bushings/hardware not originally included in factory kit).